New aircraft arrives, enhances mission capability 55th Wing Public Affairs October 19, 1999 (ACCNS) - The 55th Wing here added a new reconnaissance aircraft to its fleet Oct.14. The jet is the 15th RC-135 Rivet Joint assigned to the 55th WG. 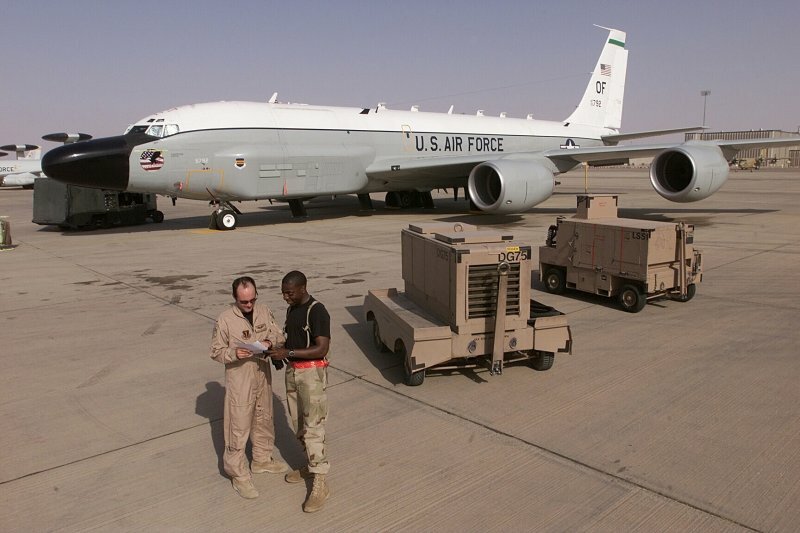 The USAF RC-135V/W RIVET JOINT surveillance aircraft are equipped with an extensive array of sophisticated intelligence gathering equipment enabling military specialists to monitor the electronic activity of adversaries. Also known as "RJ", the aircraft are sometimes called "hogs" due to the extended "hog nose" and "hog cheeks". RIVET JOINT has been widely used in the 1990's -- during Desert Storm, the occupation of Haiti, and most recently over Bosnia. Using automated and manual equipment, electronic and intelligence specialists can precisely locate, record and analyse much of what is being done in the electromagnetic spectrum. 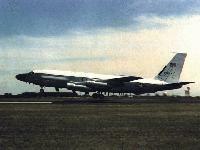 The fleet of 14 RIVET JOINT aircraft increased to 15 in late 1999 with the addition of a converted C-135B. The jet's conversion cost about $90 million. The Rivet Joint fleet is currently undergoing significant airframe, navigational and powerplant upgrades which include re-engining from the TF-33 to the CFM-56 engines used on the KC-135R and upgrade of the flight deck instrumentation and navigational systems to the AMP standard. The AMP standard includes conversion from analog readouts to a digital "glass cockpit" configuration. The Air Force plans to spend at least $1.4 billion to keep the RC-135 Rivet Joint (RJ) fleet flying through 2018. The service also plans to modify a recently retired Air National Guard KC-135 tanker, turning it into the Air Force's 17th RJ signals-intelligence aircraft. The RIVET JOINT aircraft are capable of conducting ELINT and COMINT intercept operations against targets at ranges of up to 240 kilometers [in contrast to the 280 kilometer intercept range of the higher-flying U-2]. The RIVET JOINT aircraft operated by the 55th Wing, Offutt Air Force Base, Neb., provide direct, near real-time reconnaissance information and electronic warfare support to theater commanders and combat forces. In support of the 55th, the 95th Reconnaissance Squadron operates out of Mildenhall and provides pilots and navigators to fly the aircraft. The 488th Intelligence Squadron provides the intelligence personnel who work in the back of the plane. Since the beginning of Operation Joint Endeavor December 21, 1995 through May 1996 the 95th and 488th flew 625 hours and 72 sorties together in support of the peacekeeping operation in Bosnia-Herzegovina. There is little question that the most sophisticated and capable collection system today is the 85000 System onboard the RIVET JOINT aircraft. The House Intelligence Committee's concept would continue the incremental and continuous sensor improvement to the 85000 System with the goal of ``cross-decking'' it to the new aircraft in the then-current state of modification when the first aircraft is ready to accept it. 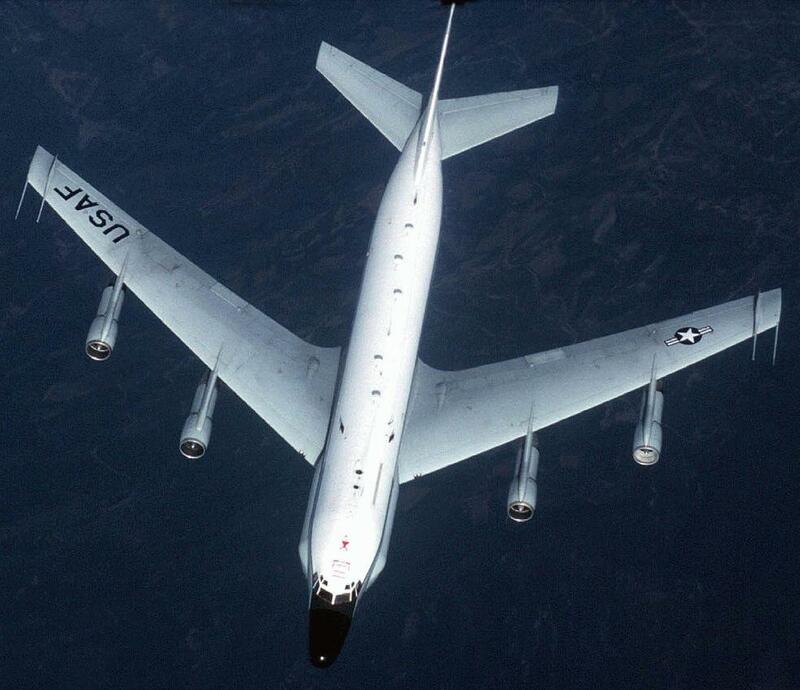 This would require ``new'' equipment purchases for the first number of new aircraft that replace the EP-3, and the later number of aircraft would be outfitted with equipment directly transferred from the RC-135 aircraft as each is retired. The cost savings realized with this concept would be substantial over the alternative option to develop an entirely new SIGINT system. The Tactical Common Data Link (TCDL) is developing a family of CDL-compatible, low-cost, light weight, digital data links for initial application to unmanned aerial vehicles. Normally the data returns with the collecting aircraft to be downloaded and processed at base. A long-standing need remains to provide the theater CINC and/or the National Command Authority (NCA) with the ELINT environment in real-time. In the future TCDL design is expected to be extended to additional manned and unmanned applications, including RIVET JOINT. The TCDL will operate in Ku band and will be interoperable with the existing CDL at the 200 Kbps forward link and 10.71 Mbps return link data rates and is expected to interface to the Tactical Control System (TCS). On February 12, 1997 Sanders, a Lockheed Martin Company, was selected by the Joint Airborne Signals Intelligence (SIGINT) Program Office for development and demonstration of the Joint SIGINT Avionics Family (JSAF) Low Band Subsystem (LBSS). Major subcontractors include: Radix Technologies, Inc. of Mountain View, Calif.; Applied Signal Technologies (APSG) of Sunnyvale, Calif.; and TRW System Integration Group, also of Sunnyvale. Radix will provide radio frequency (RF) and digital signal processing subsystems; APSG will develop special signal processing subsystems; and TRW will be responsible for high speed networking and computing subsystems. The JSAF low band subsystem is a platform-independent, modular, reconfigurable suite of hardware and software that can address multiple mission scenarios aboard a variety of aircraft. It will significantly enhance the ability of reconnaissance platforms to detect and locate modern enemy communications systems and provide real time intelligence on enemy intentions and capabilities to the warfighter. Initially, JSAF LBSS will be deployed on U.S. Air Force RC-135 Rivet Joint aircraft and other special Air Force platforms as well as the U.S. Army's RC-7 (Airborne Reconnaissance Low) and the U.S. Navy's EP-3 aircraft. JSAF LBSS will also be capable of deployment on unmanned air vehicles (UAVs) in the future. JSAF collection systems intercept, exploit, and report on modern modulation and low probability of detection communications and radar signals. It permits the collection of signals in the presence of co-channel interfering signals, and provides interoperability between primary DOD airborne collection platforms, establishing the infrastructure to support near-real-time exchange of information for rapid signal geolocation and targeting. Provide compliance with DOD directed Joint Airborne SIGINT Architecture (JASA). Current aircraft architecture and collection system have insufficient capability to intercept modern modulation and low probability of detection communications and radar signals. System requires improvements to accurately measure signal polarization and angle of arrival to the required accuracy, and to process signals in the presence of co-channel interfering signals. DOD airborne collection platforms do not operate under a common architecture and are limited in their ability to exchange data among platforms for the purpose of rapid signal triangulation for geolocation and targeting. Four aircraft undergo PDM per year. Current funding in FY01/02 only supports JSAF modification for three of the four aircraft during those years. Result will be 2 different aircraft configurations moving thorugh PDM. The impact includes dual qualified aircrews, split logistics, increased training, increased cost for "out-of-cycle" modification. The RIVET JOINT Joint Airborne SIGINT Architecture (JASA) High Band Sub-System (HBSS) Upgrade procures and installs upgrades to the RIVET JOINT's high band antennas, RF distribution network, and software to intercept, exploit, and report on modern modulation and low probability of detection communications and radar signals. It permits the collection of signals in the presence of co-channel interfering signals, and provides interoperability between primary DOD airborne collection platforms, establishing the infrastructure to support near-real-time exchange of information for rapid signal geolocation and targeting. Provide compliance with DOD directed Joint Airborne SIGINT Architecture (JASA). The JSAF CRD (CAF 002-88 Joint CAF -USA, USN, USMC CAPSTONE Requirements Document for JOINT SIGINT AVIONICS FAMILY) requires all airborne reconnaissance aircraft to migrate to JASA compliance by 2010. Current aircraft architecture and collection system have insufficient capability to intercept modern modulation and low probability of detection communications and radar signals. System requires improvements to accurately measure signal polarization and angle of arrival to the required accuracy, and to process signals in the presence of co-channel interfering signals. DOD airborne collection platforms do not operate under a common architecture and are limited in their ability to exchange data among platforms for the purpose of rapid signal triangulation for geolocation and targeting. The RIVET JOINT SHF High Gain Steerable Beam Antenna Upgrade I will procure and install a new antenna array in the cheek to provide increased sensitivity and signal separation for selected frequency bands. It provides an increased number of steerable beams in bands that currently have steerable beams, and provides steerable beams in bands not currently steerable beam capable. Increases the number of signals that can be processed simultaneously and increases signal selectivity against co-channel signals. Increasing number of low power signals and increased signal density have decreased the ability to collect tasked targets due to co-channel signal interference. Antenna improvements permit deeper target penetration against low power emitters or increased standoff ranges. The current SHF antenna array does not provide the sensitivity or selectivity required to collect low power or co-channel signals, reducing probability of intercept. RIVET JOINT SHF High Gain Steerable Beam Antenna Upgrade II procures and installs a new antenna array in the cheek to provide increased sensitivity and signal separation in selected frequency bands. Provides an increased number of steerable beams in bands that currently have steerable beams, and provides steerable beams in bands not currently steerable beam capable. Increases the number of signals that can be processed simultaneously and increases signal selectivity against co-channel signals. Increasing number of low power signals and increased signal density have decreased the ability to collect tasked targets. Antenna improvements permit deeper target penetration against low power emitters or increased standoff ranges. The current SHF antenna array does not provide the sensitivity or selectivity required to collect low power or co-channel signals, reducing probability of intercept. The RIVET JOINT High Frequency (HF) Direction Finding (DF) System procures and installs a ten element HF array antenna on RIVET JOINT to provide HF DF capability. Upgrades the Joint SIGINT Avionics Family (JSAF) LowBand SubSystem (LBSS) receiver to process HF DF. The current RIVET JOINT HF capability is limited to a long wire antenna. This configuration supports signal reception, but not HF DF. The aircraft is tasked to perform search, classification, collection, and DF of all militarily significant signals. This tasking includes signals in the HF band. Without HF DF, the aircraft will continue to have no DF capability in this increasingly significant frequency band. A ten element HF antenna array, and receiver upgrades are needed to perform HF DF operations. Without the installation of a ten element HF antenna array, RIVET JOINT will not be able satisfy the requirement to DF signals in the HF band. The RIVET JOINT 360º Search, Acquisition, and Direction Finding System procures and installs a circular antenna array and receiver system designed to search, acquire and DF emitters over the full. The antenna will be centerline mounted on the aircraft underside. The antenna output will be routed to a new receiver dedicated to 360º intercept. The receiver output would be routed to existing processors for exploitation. The proposed implimentation will retain the high sensitivity and geolocation accuracy of the current system while adding an additional antenna array and receiver specifically for 360º coverage. RIVET JOINT is currently unable to satisfy the long-standing requirement to search, acquire, and DF emitters through the full 360º. The current radar acquisition and DF systems have a limited field of view, restricted to 120º on each side of the aircraft. Additionally, the operator can only select one side or the other. The aircraft is often employed in orbits requiring a greater antenna field of view, often from both sides of the aircraft, or from the nose and tail. The crew currently accomplishes this tasking by alternating antenna selection from side to side, and by changing aircraft headings. These tactics provide sequential, not simultaneous looks at the target area, and pose a significant probability of missing short-up-time and low-probability-of-intercept emitters. RIVET JOINT Wideband Line-of-Sight Data Link procures, installs and integrates a wideband datalink terminal on the aircraft. Datalink would be line-of-sight capable. Datalink will be interoperable with ground-tethered assets for data exchange and exploitation. Permits airborne exploitation of UAV sensors. Provides capability for cooperative direction finding for near instantaneous target geolocation. Allows aircrews to draw on in-theater intelligence center databases and processing capability. Provides for near-real-time interaction between theater assets, increasing probability of intercepting targets, and increasing geolocation accuracy of target locations. Airborne reconnaissance platforms require a wideband datalink for interaction among platforms in order to provide high probability of signal detection, provide accurate and timely target geolocation, draw on theater atabases and processing capability to exploit robust signals, and permit airborne access to UAV sensor data. Without this upgrade, RIVET JOINT aircraft will not be able to exchange data among in-theater reconnaissance platforms and draw on CONUS based national assets to exchange data, cooperatively geolocate targets, and exploit robust targets in near-real-time. RIVET JOINT Wideband SATCOM Data Link/Global Broadcast Service (GBS) procures, installs and integrates a wideband datalink terminal on the aircraft. Datalink would expand the capability of a wideband line-of-sight datalink to add SATCOM capable. Datalink will be interoperable with ground-tethered assets for data exchange and exploitation. Permits airborne exploitation of UAV sensors. Provides capability for cooperative direction finding for near instantaneous target geolocation. Allows aircrews to draw on in-theater intelligence center databases and processing capability, or provide for reach-back to CONUS intelligence center databases and processing capability. Provides for near-real-time interaction between theater and national assets, increasing probability of intercepting targets, and increasing geolocation accuracy of target locations. Terminal will permit receipt of Global Broadcast Service. Airborne reconnaissance platforms require a wideband datalink for interaction among platforms in order to provide high probability of signal detection, provide accurate and timely target geolocation, draw on theater and CONUS databases and processing capability to exploit robust signals, and permit airborne access to UAV sensor data. RIVET JOINT aircraft will not be able to exchange data among in-theater reconnaissance platforms and draw on CONUS based national assets to exchange data, cooperatively geolocate targets, and exploit robust targets in near-real-time. RIVET JOINT Operator Workstation Upgrade procures and installs high resolution operator displays to improve target detection and signal recognition. Wide band fiber optic base audio distribution network to all operators. Wide band, high capacity COTS audio recorders. High capacity, digital, reprogramable, wideband demodulators and processors. Current display resolution is insufficient to allow accurate signal detection and recognition of modern modulation target signals. Several current target emitters exceed the bandwith of the current audio distribution system, resulting in unintelligible audio output. Several receiver outputs are routed to specific operator positions, limiting flexibility in responding to theater driven dynamic target environments. Bandwidth and capacity of current recorders is exceeded by an emerging class of wideband modern modulation target emitters. Bandwidth and capacity of current signal demodulators is exceeded by an emerging class of wideband modern modulation target emitters. Current demodulators are not reprogramable. It is expensive and time consuming to reconfigure them to process different target emitters. RIVET JOINT Cockpit Modernization includes the RIVET JOINT in the Air Force PACER CRAG initiative to upgrade the C-135 fleet cockpit, and installs the GATM/FANS avionics required to operate in the evolving civil air structure. PACER CRAG installs new compasses, radar, multi-function displays, and global positioning system/flight management system. New fuel panel, Mode S IFF, TCAS, precision altimeters, and DAMA compliant, 8.333 KHz channel radios are included in this upgrade. The upgrade provides RIVET JOINT and RJ Trainer (TC-135) aircraft commonality with the C-135 fleet for training, logistics, and parts. Eliminated "vanishing vendor" problems associated with diverging from the KC-135 avionics. Permits aircraft to comply with ICAO navigation and communication standards to operate in the trans-oceanic and European portions of the commercial air structure. Improves safety, reliability, and maintainability of aircraft. Aircraft will be denied access to increasing portions of civil air space without proper navigation/communications equipment. Current avionics systems will become unsupportable as KC-135 migrates to newer equipment. Commonality will be lost with the rest of the C-135 fleet. Common parts supply base will not be available. CFM-56 Re-engining completes re-engining of RC-135 aircraft with CFM-56 engines, and modifies the airframes to support re-engining. The project decreases cost of ownership and increases operational capability by installing new, fuel efficient engines. The upgrade also reduces maintenance manpower and logistics costs; the new engine is more reliable than the current engine, and the engine is common with the AMC KC-135 fleet. This project extends unrefueled range and time-on-station, and permits operations at higher altitudes, increasing airborne sensor field of view and effectiveness. Increased altitude range provides flexibility to airspace planners integrating aircraft into conjested airspace just behind the FEBA. The new engines decrease dependency on tankers for air refueling, and provide a capability to takeoff on shorter runways at increased gross weights. The project facilitates two-level maintenance concept reducing costs by 32%, and supports improved aircraft environmental system prolonging sensitive sensor life. 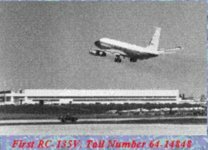 Failure to fund re-engining to completion will leave a logistically split RC-135 fleet, equipped with two completely different engines. Increased cost of ownership due to duplicate spares at each operating location. Current TF-33 engines will become more difficult and costly to support requiring significant increases in future O&M costs (TF-33 parts no longer in production). 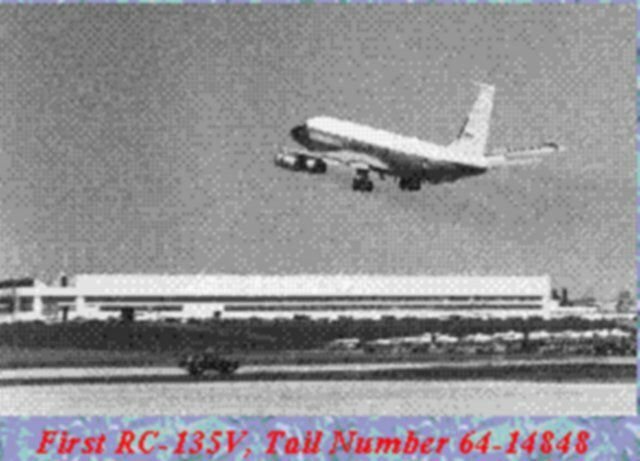 The RC-135 fleet would lack commonality with re-engined KC-135 fleet, and the GAO validated $1.7B life cycle savings (total RC-135 program) would not be realized if this project was not funded. 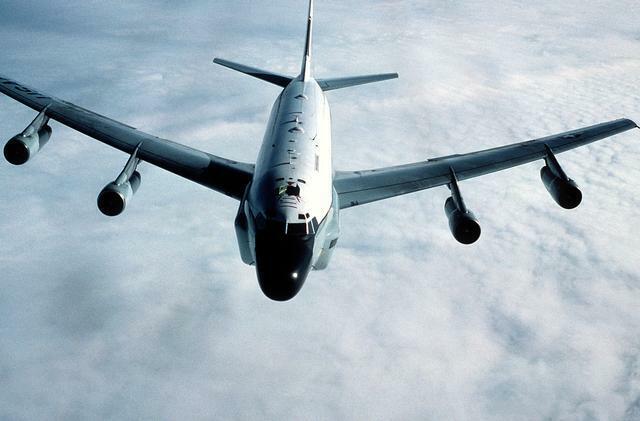 In 1996, the service decided to spend $612 million over a decade to include the RJs in the multibillion-dollar effort to replace engines aerial tankers. 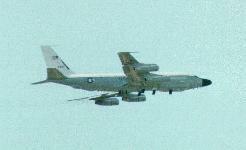 As of late 2002, four RJs had been delivered On 24 October 2001 the House Appropriations Committee recommended spending for the re-engining of four Rivet Joint aircraft. RIVET JOINT Air Conditioning (A/C) Environmental Cooling Modifications procures and installs a vapor cycle cooling system. Includes a liquid cooling loop and heat exchangers. The system will provide in excess of 10 tons of additional cooling at all operating altitudes. Permits effective operation of collection systems added to the aircraft over the last decade. Reduces the requirements for auxiliary air conditioning during ground support operations. The heat load of the "mission equipment" has exceeded the capacity of the standard C-135 air-conditioning system. Skin heat exchangers have been installed to effect additional cooling. This system is only effective at altitudes in excess of 25,000 ft and has reached its capacity. To allow future growth in system capabilities, flexibility in operations, and crew comfort, additional capacity must be obtained. Without increased A/C capability, future growth of aircraft mission equipment, operational flexibility, and crew comfort will be curtailed. The RIVET JOINT Mission Trainer (RJMT) will provide a high fidelity ground trainer for RC-135 RIVET JOINT reconnaissance compartment personnel, using aircraft hardware and software. The trainer will be equipped with signal generators to create and display a full range of radar and communications signals to the reconnaissance crew. A complex, syncronized signal environment can be presented to the crew, permitting coordinated exploitation of these signal. The trainer will be equipped with Link-11, Link-16, and TIBS datalinks to train aircrew to effectively interact with other battle management assets. The trainer will be Distributed Interactive Simulation capable, permitting RIVET JOINT participation in large scale exercises. The RJMT will provide initial qualification, currency, and upgrade training. RJMT is required to conduct efficient and cost effective initial qualification, continuation/proficiency, and specific mission area training for RC-135 reconnaissance compartment aircrew. Current RC-135 mission training devices are limited to position mock-ups, outdated part-task trainers, PC-based procedural trainers, and audio playback workstations. These devices are supplimented with extensive airborne training flights on mission aircraft. The heavy dependence upon mission aircraft directly impacts training timeliness, continuity, and costs, and this training does not adequately simulate a challenging collection environment. RJMT will relieve the training load in the ops squadron, reduce dependence on aircraft availability for training, and facilitate decreasing the total aircrew TDY rate to 120 days per year (ACC goal). RJMT will provide an improved margin of safety during contingency operations. The only contingency training available is OJT during actual operations. The simulator will provide a safe controlled environment to practice tactics, develop new procedures, and exploit new capabilities. RJMT will allow RC-135 aircrews to interact, through Distributed Interactive Simulation (DIS), with other platforms' simulators. Through electronic exercises, the RJMT will provide aircrew exposure to multiple interoperability issues, tactics, and procedures. 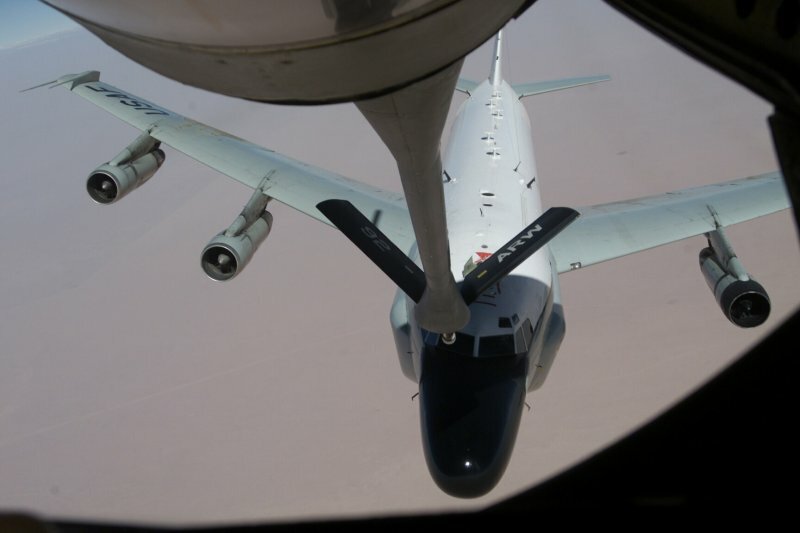 RC-135 operational effectiveness is significantly impacted because an integrated training device is not available for the training of crewmembers in Sensitive Reconnaissance Operations (SRO), contingency support, SIOP missions, and exercises. Ops tempo is reduced to support initial training and proficiency requirements. Air crewmember TDY will continue to exceed the stated ACC goal of 120 days per year. Capability to train entire squadrons on aircraft equipment modifications/upgrades is not available. Capability for RC-135 aircrews to electronically exercise with other platform simulators developing new tactics and procedures, performing interoperability issues will not be available. RIVET JOINT Crew Comfort Upgrade installs a modern, commercial aircraft-class latrine for crew comfort. New latrine will provide increased holding capacity and the capability to be serviced, from the ground, using current field servicing equipment. Provides a sink, with fresh running water, allowing aircrews to wash their hands. Current aircraft latrine leaks and lacks privacy requirements needed for combined male/female aircrews. Waste leakage is causing corrosion problems with aircraft structural components. The smell of the waste/disinfectant fouls the cabin air. Increased aircrew stress due to inferior latrine facility which produces waste/disinfectant odors inside the mission crew area. Leakage corrodes the aircraft structural components. As of mid-2002, upgrades had been completed on one of the Air Forces Rivet Joint aircraft. With an additional 16,000 pounds of thrust provided by the F-108 engines, the new aircraft has increased endurance, increased reliability, and delivers an anticipated 25,000 more flying hours per engine than before. In addition, the new engines increase the plane's fuel efficiency by 15 percent, increase its time to conduct the mission and enable it to do the mission much more quietly than before. This re-engine initiative for the 14 RJ planes is one of three initiatives to keep the reconnaissance aircraft contributing to the Air Force mission into the year 2020 or even 2030. The second phase is an update of critical mission equipment for the electronic warfare officers, intelligence operators and in-flight maintenance technicians. Phase three will update avionics equipment, changing over to the Rivet Glass system that will replace analog equipment with digital and conform to Global Air Traffic Management requirements. Both the RC-135V/W Rivet Joint (RJ) and the RC-135U Combat Sent (CS) aircraft are United States Air Force (USAF) electronics reconnaissance platforms. The RJ is the USAF's standard airborne signals intelligence (SIGINT) gathering platform, while the CS is designed to collect technical intelligence on adversary radar emitter systems. Both aircraft are extensively modified C-135's characterized by protruding "cheek" fairings along the sides of the fuselage forward of the wings as well as the addition of numerous antennas along the top and bottom of the fuselage. The major distinguishing feature between the two variants is the nose radome, wherein the RJ has an elongated nose while the CS has the standard C-135 nose with a protruding "chin" radome along the underside. eting resulting in broken antennas and damage to the aircraft. Flight testing confirmed the presence of unsteady loading on certain antennas that was traced back to the turbulent exhaust flow of a liquid cooling system (LCS) installed in the forward cheek fairings. Both variants have this modification but only the RJ has experienced structural damage.